Raymi wines are made by the iconic Chilean producer, Carmen, in the Central Valley. These wines offer pure varietal fruit character at an exceptional value. 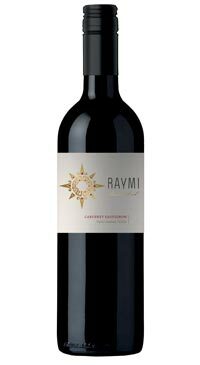 The Raymi Cabernet Sauvignon is a bold, rich and satisfying red. It offers classic notes of cassis, black cherry and plums with hints of dried herbs and spice. The palate is medium to full bodied and the tannins are ripe and softly textured making for an easy drinking and very crowd pleasing style. This Chilean Cabernet Sauvignon offers a whole lot of value at an unbeatable price.